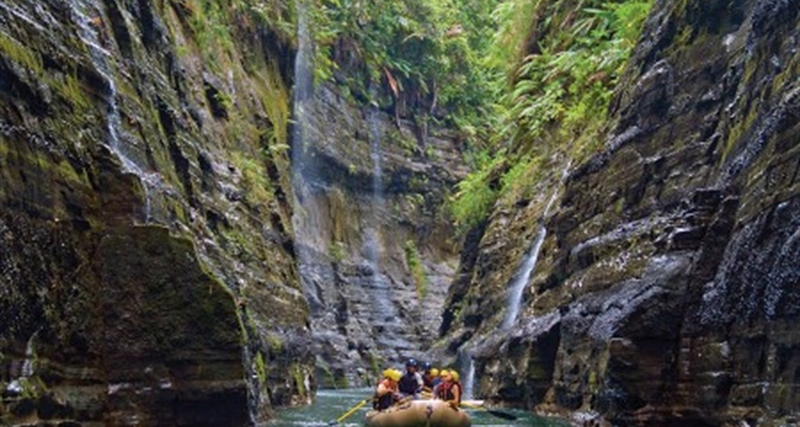 Rivers Fiji is proud to introduce you to the Upper Navua Gorge. 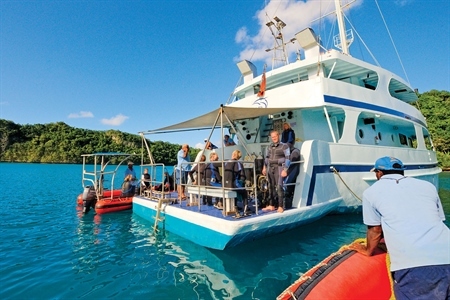 Your exploration of this amazing river is perhaps one of the most unique journeys in all of Fiji, if not the South Pacific and the World. 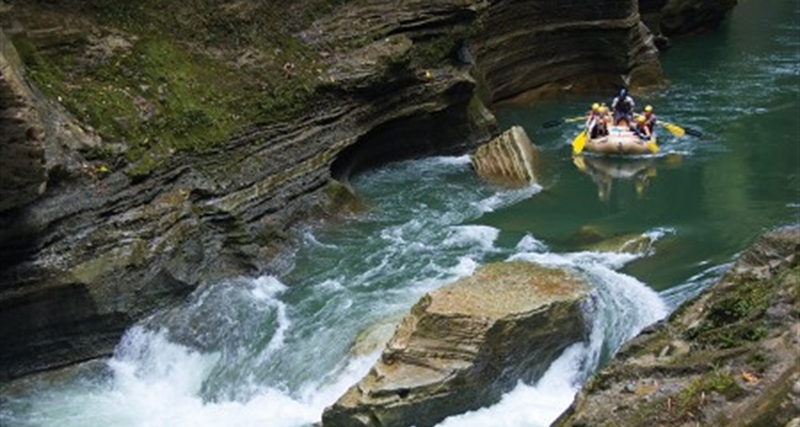 This excursion will take you through some of the country's most formidable and phenomenally beautiful terrain in the relative comfort of inflatable rafts. This is a special trip not because of one unparalleled attribute upon which the success of the trip is based, but many special and scenically significant places; each individually worthy of special recognition. There is not one waterfall but many (some say at least seventy); not one short stretch of deep, narrow canyon, but kilometers. This is a place where black volcanic walls are at points barely five meters apart and over forty meters high and fringed by emerald rainforest. This is a place where man has been merely an intermittent visitor at best, where some of the wildest and most beautiful Fiji can still be found.